Whether you haven’t been to a shooting range in years, or this will be your first visit to our indoor shooting range in Frederick, we are here to help you have the best time ever. In our last post, we discussed important safety tips you should know before you join us at our indoor firing range. Today, we want to focus on what items you should bring with you when you come to the range. Remember, our firing range is open to the public, with memberships available for discounted pricing and special perks. We also have different specials running for certain nights of the week, so be sure to check out our specials page. Interested in signing up for a class? We offer a wide range of classes, including safety classes for first-time shooters. Contact us today to learn more. At The Machine Gun Nest, we recommend you wear comfortable clothing that will allow for easy movement. Opt for close-toed shoes rather than flip-flops or sandals. This will help keep your feet protected from falling bullet casings and shotgun shells, which could potentially burn your feet. Since you will be shooting indoors, you can opt for lightweight clothing. Long pants are also recommended to protect your legs as well. The more comfortable you are, the better. Shooting requires a lot of movement, particularly arm movement so a shirt that fits loosely will provide for a better experience than a tight or constricting top. For an added benefit, wear clothing with handy pockets for storing ammo and extra ear plugs. We do have safety equipment available at the indoor shooting range. However, for optimal comfort, you can bring your own. If you plan on making shooting a frequent hobby, it might be worthwhile to invest in high-quality, durable safety wear. Protecting your eyes and ears is absolutely necessary and you will be required to wear this safety equipment at all times while on the range. Make sure your eye protection allows you to see clearly on the range. We recommend a clear set of safety glasses, as sunglasses can hinder your ability to see well at our indoor range. Ear protection comes in a variety of styles. Ear plugs are one of the most common and affordable forms of ear protection. These plugs fit inside your ear canal and work by stopping sound-waves from advancing. They are lightweight and easy to carry even in your pocket. Ear plugs range from simple, cheap foam plus to custom molded pieces with electronic noise canceling features. Ear muffs are another popular choice for ear protection. These are worn over your ears and usually create a seal around your ears through a soft material fitted around your ear. Ear muffs are often chosen due to how easy it is to pull them on and off. They also come in a variety of models, including electronic noise canceling versions. While you do not need to opt for the most expensive safety equipment on the market, you should consider whatever equipment you purchase as a worthwhile investment in your personal safety. If you already own a firearm, feel free to bring it with you to the range. While we have other rental options available, it is 100 percent acceptable to bring your own guns. Our indoor shooting range is the perfect place to fire off a few rounds and to hone in your accuracy skills with our fun target options. You are also welcome to bring your own ammo with you to the range. 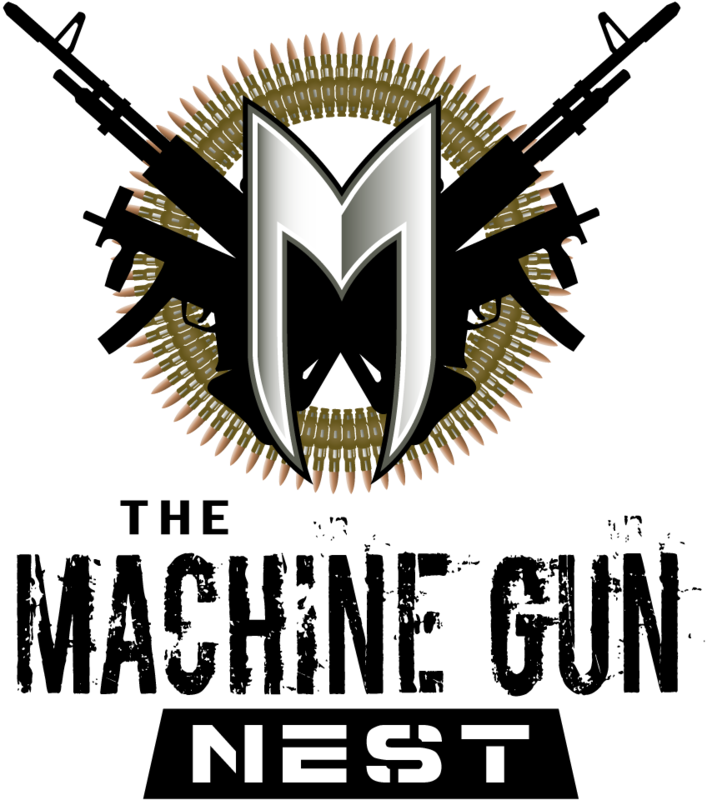 We allow you to shoot up to .50 BMG at the Nest. If you are bringing a shotgun note that we allow slugs only. When you visit our indoor shooting range we ask that you bring your guns cased and unloaded. We implement this rule so we can inspect your firearms before use, as well as for the safety of all our guests. If you don’t own a carrying case yet, now is the perfect time to invest in a quality case. Carrying cases make the transport of your gun both easier and safer. You also can protect your gun from damages by placing it in a case when it is not in use. Opt for a carrying case that has extra pockets and space for other useful items like your safety equipment. Lastly, when you join us at our indoor firing range in Frederick, we ask that you bring a valid form of photo ID. This can be a driver’s license or a passport. You do not have to be a resident of Maryland or even a United States resident to shoot at our range, but you must have a valid photo ID to present to our staff. Ready to come visit our indoor firing range? Feel free to stop by today or reach out to our with any questions you have. We look forward to seeing you soon.